Libbey Glass is one of the most recognized and dependable name brands in glassware today. 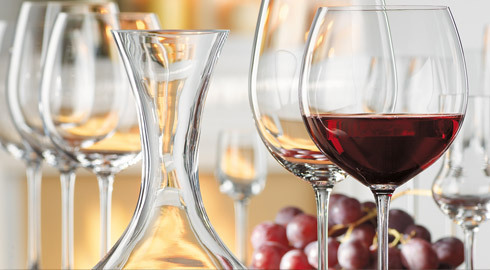 ReStockIt offers Libbey glassware at wholesale prices everyday. Libbey has been producing high quality glassware since the 1800s and offers a myriad of options for restocking your restaurant, office breakroom, bar or home. We offer one of the widest selections of wholesale glassware online! From the glassware you sip out of at your favorite restaurant to the glasses grandma served her famous iced tea in, it's a good bet you've come across a Libbey glass product. One of the world's largest manufacturers of tabletop and foodservice products, Libbey truly sets the standard for glassware. Libbey has its roots in East Cambridge, Massachusetts, home of the New England Glass Company which was founded in 1818. Throughout Libbey's distinguished history the company has perfected the art of mass producing fine glassware. Many business choose to buy Libbey glassware in bulk because of it's high quality and durability. ReStockIt.com is proud to offer one of the largest glassware manufacturers' products to their customers. Buy Libbey Glassware and Save!